The easy way to make deposits, plus flexible loose-set format! Guaranteed to work with your bank, these deposit tickets improve processing and meet the precise requirements of today's Image Character Recognition (ICR) technology. Our guaranteed deposit books work at any bank - meeting all Image Character Recognition (ICR) guidelines for faster processing!Classic deposit tickets feature a simple, easy-to-use format for trouble-free processing. The safe way to make accurate deposits! Guaranteed to work with your bank, these deposit tickets improve processing and each line meets the precise requirements of today's Image Character Recognition (ICR) technology. 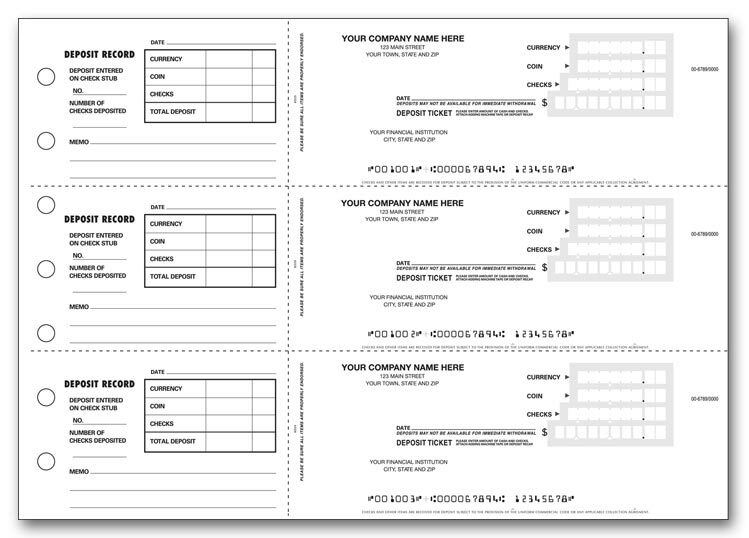 The easy way to make deposits for users of 3-On-A-Page Checks! Guaranteed to work with your bank, these deposit tickets improve processing and meet the precise requirements of today's Image Character Recognition (ICR) technology. 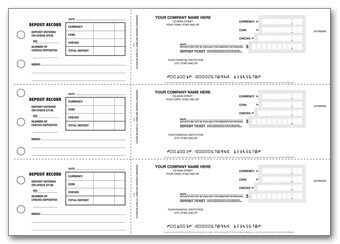 Our Easy Scan deposit ticket books keep your business in ready cash with faster processing of bank deposits!All entry lines & account boxes on these popular manual deposit tickets are formatted for fast automated scanning, eliminating bank delays.